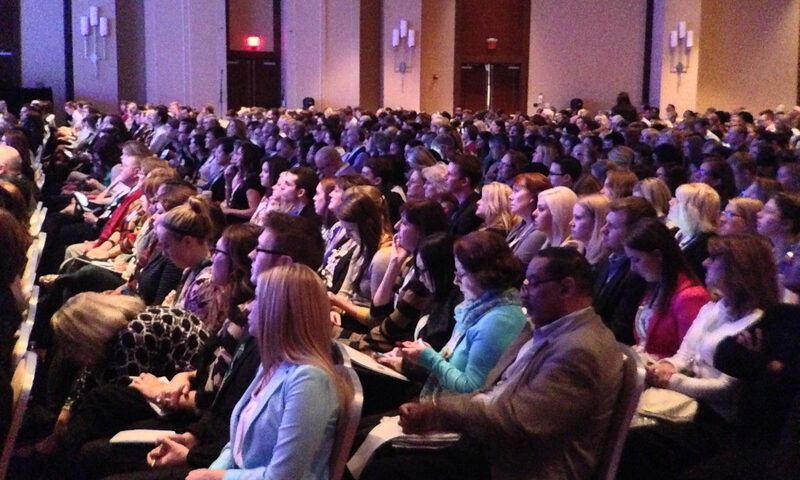 Are you satisfied with the rate of audience engagement? If you’re not, then you should try something new at your next event to increase participation from your attendees. There are many ways that you can make your next event or town hall meeting more engaging, however, you should try and make sure that the way you use is not only easy but can also offer anonymity. Why would you want to allow anonymous feedback or questions? Some people are just shy or don’t want to speak up with everyone’s eyes on them. So, by ensuring that the way you use to gather feedback is not only easy but also anonymous you will easily increase the engagement from your attendees. Text messaging is not only affordable, but it also fills both of these needs. Text messaging software is an easy and comfortable method for people to submit their feedback or questions at any event or meeting. This is because 98% of mobile phones can send and receive texts, and the average person already texts numerous times a month. Not only that, but some audience engagement technologies require some sort of app or smartphone to participate, and while ownership of smartphones is on the rise, the majority of people still do not have one. Also, who wants to be forced to install an app on their phone to be able to leave feedback at an event or meeting? As a result, fewer people participate than before, rather than more. Using text messages is also an excellent way to distribute any sudden notice, venue change, or other important information and ensure that the majority of your attendees get it. 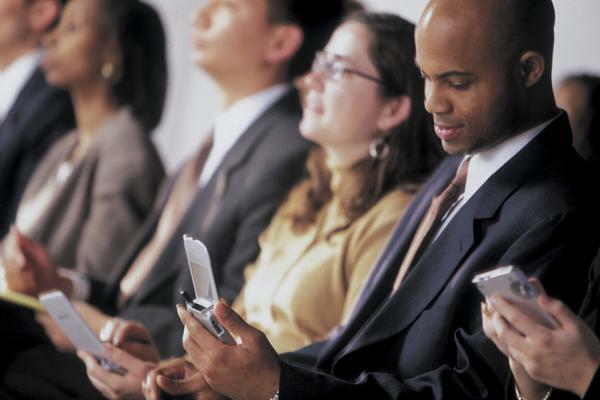 Text messaging also allows everyone who wants to provide feedback to provide it. With more traditional methods, people would need to wait their turn, and as we all know, it is not always possible to get to everyone in the time allotted for the meeting or event. This means that there could potentially be essential feedback or questions missed out on. Text messaging allows you to save those for later, to ensure they aren’t missed. Provide Answers after meeting session too! In conclusion, if you start using text messaging in your events and meetings, you can expect to increase your audience participation by quite a bit. I recently wrote a post for our Text a Librarian blog called 10 Digit Texting Number Spam, giving a few screen shots about text message spam I’ve received on my phone over the past couple of months. I get about 1-2 spam messages per week. I use AT&T’s SPAM short code to report it and never get a message from the same number again, usually a similar message from another 10 digit number. As I started reading Erica Taub’s New York Times article “Eluding a Barrage of Spam Text Messages” over the weekend, I thought out loud “I bet it’s 10 digit numbers she’s referring to” and kept reading. It was. 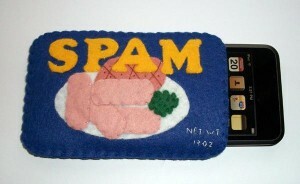 Then I read Nicole Perlroth’s New York Times article, Spam Invades a Last Refuge, the Cellphone. Both authors tales of spam problems cover a lot of ground, including mentioning how easy it is to use a mobile user’s number @ a special email address from their carrier, to send a text message. The problem is, most of the spam I read about, hear about and receive, isn’t from email addresses or texting short codes. It is from 10 digit “local” numbers. The examples in Perlroth’s article are from 10 digit numbers and Taub’s ended with ‘which is why when I recently tried to call back the phone number that sent the payday loan offer, a recording stated that “the number you dialed is not a working number.’” She got spammed from a 10 digit number and naturally, tried to call them to see what they had to say, to no avail. Why wouldn’t 10 digit numbers be a spammer’s tool of choice? 10 digit numbers that have texting capabilities are easy to obtain, cheap (they don’t have to pay the mobile carriers for the traffic), they can be set up quickly for “slash and burn” purposes and they’re not subject to any of the STOP/QUIT/HELP commands required by mobile carriers for 5 or 6 digit short codes, regardless of the CTIA’s stance that they not be used for A2P, commercial purposes. They’re “developer-friendly”, whether that developer happens to be a cash-strapped start up or someone wanting to avoid being caught when sending unsolicited offers to lists of mobile numbers. Text messaging is the most useful channel on the mobile phone, the most personal piece of technology to consumers these days. Seeing spammers take to it with force is not surprising. It’s disheartening and frustrating, but until the mobile associations and carriers get a handle on software being able to utilize 10 digit numbers to send and receive text messages, unfortunately things are going to get a lot worse before they get better. Could the days of calling a 1-800-HOLD-FOREVER be over? As a consumer, I’ve probably been on hold for the equivalent of a few months. Months that I could’ve spent exercising, shopping, watching TV or even doing a 5000 piece cloud puzzle. And, when a person finally comes on the line, I don’t want to be bitter and angry, because the tie-up isn’t their fault. But it’s hard not to be angry at someone. The endless frustrations of 1-800 numbers could possibly be left behind, thanks to wonderful world of text messaging. Imagine the ease of sending off a text message to Barry’s Auto Parts asking why the radio they installed won’t leave AM stations. It’s nothing urgent, so you don’t need a reply right away, but you want it fixed without getting on the phone and being on hold for three hours. Text messaging could be a great alternative to call lines. While call lines may still be needed for more urgent requests, shooting off a text message and going on with your life while you wait for a reply is eons better than being on hold indefinitely. Many of the hang-ups in delivery, ordering and customer satisfaction are due to complications with order fulfillment. If Barry’s Auto Repair Garage agrees to replace your radio, you probably think you’re golden. But, the truth is, Barry’s might rely on a third party for order fulfillment, meaning that your replacement radio is not in Barry’s hands. Having a direct line to order fulfillment, whether it’s through communication with the service or through sending text updates directly to your phone, means that you know where your replacement radio is at all times. If there’s a delay, you know about it immediately, which eliminates a lot of confusion and frustration with Barry down the line. It seems that many companies aren’t exactly sure what their customers want. Many brands have started to print codes for online surveys alongside receipts, usually promising 10% off for your troubles. These are great, but usually have to be completed within about ten minutes and redeemed within the next 2 hours. I’m exaggerating a bit, but in reality, those surveys are hard to complete on time. If we could complete a text survey and redeem the coupon directly on our phones, businesses would probably receive more feedback than they know what to do with. I can tell Barry that I received the radio and that my FM stations are coming through loud and clear. And in exchange, maybe I’ll get 15% off my next oil change. This style of survey collection would make for better products or services, increased customer feedback and engagement, which makes us feel valued and which all leads to what businesses are really after: our loyalty. Feeling valued by a company instead of mistreated makes all the difference in whether or not we continue to come back. It’s much more expensive for companies to gain new customers than it is for them to keep an old one. Increasing customer loyalty is then in their best interest, and in ours too. I don’t want to sift through 16 auto repair shops and run the risk of being ripped off by Fred’s Greasy Garage. If I know that Barry’s shop does a great job, I’ll keep going back, and I’ll tell all my friends to text Barry when they need work done.